We need to do a better job of producing One Thread To Rule Them All for Newbies. We hope members will post better (shorter) tutorial explanations here. You can get a lot of brochure-level information at bitshares.org. There are a number of key threads in this forum that can give you some background. BitShares Forum »Development »ProtoShares »What is ProtoShares? A Distributed Autonomous Company (DAC) is just another name for a cypto-currency backed by the services it performs. It is an unmanned company that has been released into the wild by its developers and is now owned by its stakeholders - those that hold its stock-based currency and provide the distributed processing resources that perform its services. You can view it as a currency or a company depending on how you prefer to think of it. ProtoShares (now Bitshares PTS) is a DAC for bootstrapping other DACs. 1. Holding ProtoShares is not holding stock in Invictus but it does give you access to revenue streams from every DAC we release into the wild. You may wind up owning shares in our DACs not shares in Invictus. 2. Each DAC has its own business model. BitShares is a family of exchanges that let you do typical trading operations on between classes of crypto assets. Our first lets you trade exposure to various common currencies. 3. Each trade has a transaction fee which is split among all BitShareholders in the form of dividends, just like any corporation splits its profits with its shareholdes. To the extent the Bitshares has value in the marketplace, you can convert your dividends into other crypto or fiat currencies. 4. Customers are anyone who would like to save or trade without leaving crypto-space and incurring various costs associated with travel between "free space" and "fiat space". 5. It will cost you a little of your stock as a fee to make a transaction and you get more stock when others pay similar fees. Value is generated inside the DAC from the services it performs which people are willing to pay some of their hard earned or purchased shares to obtain. 6. DACs are by definition crypto currencies backed by the services they perform. Even Bitcoin is a DAC performing the service of efficient money transmission. 7. Transaction fees are the profits -- for services performed of value to its customers. 8. As long as you are inside the DAC, the currency of the land is that DACs shares. The more valuable the services it performs, the more desirable it is to hold that currency in order to obtain those services. 9. Dividends are small if profits are small and large if profits are large. Each DAC publishes its distribution rules, which distribute some of the transaction fees to the shareholders (owners) and the rest to miners (workers). An assessment of the developer(s) ability to implement the idea. The summation of the above expected value across all DACs currently in the pipeline. Its up to the developers to convince the market that the above factors sum to great value. To the extent that they do convince the collective community of experts, ProtoShares will increase in value and so will each DAC according to its established value proposition in the arena of ideas. Listen to videos and interviews from Daniel (bytemaster), then read the articles by Stan (Stan) starting with the original Three Laws of Robotics. These tend to target a more general audience. Thank you so much. Stan! General criticism; and please keep in mind that I have this criticism of most ~qt wallets, e.g. the Bitcoin wallet and most other cryptocurrency ~qt clients could improve this way: they could come quite a ways out of "cheat codes" (low accessibility to general users) territory. 1) Ask users upon first launch if they would like to either generate a wallet (if one is not found) OR load an existing wallet; and if they do the latter, remember the location of that wallet (even if that means a specific setting for that in the conf. file). Included with this (IMO) should be an option to not generate a wallet. 2) By default, warn users if a wallet is unencrypted; point them to how to encrypt it. Include an option to shut off this "nag" warning. A possible issue with the qt client: even though I clicked "mine 3 processes" from the Settings menu, and after a wait, the infotip over the mining icon (in the lower right of the GUI) said it was mining, and gave a collision rate--even after that, when I typed getmininginfo in the console,* it said 0 collisions; but after I typed either "setgenerate true 1" (or maybe it was just "setgenerate true--" I don't know which worked), and then waited and then ran getmininginfo again, it reported a collision rate. *Your average user is not going to want to touch a console (or even know how); a lot of useful information and functionality could be abstracted from the console (invoke the same functions), but be accessible from the user interface/buttons. Could an admin or someone else help Stan provide links to his references? Great points. We (and this community) have a lot of work to do in this area. Its kind of like colonizing a new planet. The accommodations are a bit austere for a while. I'm new, just got the wallet for mac qt but can't get it to connect to blocksource I read the post but can't get the config file (find it) or get the command line to work any video or something explaining it to a regular guy. Thanks. Noirbits, NoirShares, NoirEx.....lol, noir anyone? The magical land of crypto, no freebies people. thanks man that is fantastic found it, the only thing the node didn't work but now i can look for more nodes till i find one that woks. Can this qt client on mac be used for mining pools? and if yes how? If you have questions or need help put in a ticket on helpdesk, you'll be noticed faster. Thanks great article for newbies like myself. Thanks a lot, it's a great place to start! 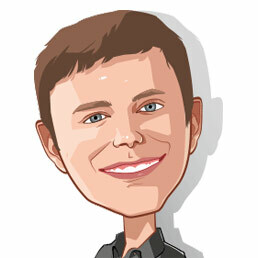 Dan larimer's last's videos and interviews are far more interresting.Find them! Hi, Can anyone tell me where I can find out what the "tabs" on the left and across the top of the BitShares software do?